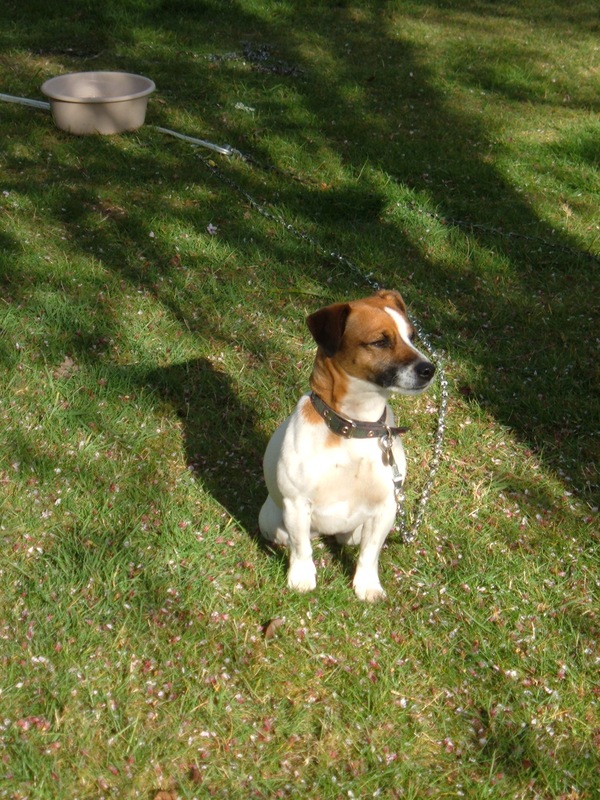 Imagine, it is the coldest night of this winter – 5 degrees below freezing, no moon, torch batteries flat and the dog – the escape artist, butter wouldn’t melt in her mouth, see how pretty I am Jack Russell, Lucy, the bane of our lives, is stuck under the shed. This is the same shed that is minus its floor in the back left corner because I had sawed it up three years ago, when she last jammed herself between the wooden floor joists and the compacted earth – less than three inches space as I measured it once she was safe. How did she get in? Who knows – the adrenaline of the chase of a rabbit or a rat maybe. Why couldn’t she get out? My only explanation is that once the quarry has disappeared, the adrenaline has seeped away, in the cold of the ‘down’ after a tremendous high, she just has no idea where she is, how she got there and what to do about it now. Three years later, when I had begin to hope that the shed no longer held any allure for her, at ten minutes before bedtime, I track her whines to the very same place. Great, I think, all I have to do is move the mound of logs stored in the back of the shed and there she will be, snug beneath them in the same place as before…easily reachable because, as already explained the shed has no floor in that area. You guessed it. That is not where she is. From the sounds she is making, it seems she is much further over. In the very centre of the shed. by now we have no torch, the batteries having gone flat. I say not torch…we actually have a windup torch. Brilliant invention. Sustainable energy. No nasty batteries…and no light emitting from it to speak of! have you any idea how much winding has to be done to produce the shakiest of dim lights? No? Neither had I. By now, the other half has decided he will dig to he dog beneath the shed floor and has amassed a variety of useful tools. His plan is to dig a deep hole, tunnel towards her and , as if by magic, she will tumble from her prison, wedged between the earth, and a grid of crossing beams, into the space he has made and follow her nose to safety. Picture the scene. Hubby is splayed on the ground with one arm up to the shoulder, scrabbling the soil away with a trowel – the only tool that will fit between shed and earth. Periodically he scoops a handful of powdery earth back and out of the tunnel. I am furiously winding the torch to give us light. The dog is emitting heart breaking whimpers. “It’s like a suburban version of ‘The Great Escape’,’ I say. “No dogs died in that…I can’t answer for what will happen once I get this blighter out..” he hisses from the depths of his tunnel. Much winding, scratching and scooping later, with the aid of a stick held at full length by his outstretched , entombed arm, he pokes something soft, yielding, that replies with a surprised squeak. I didn’t hear his reply as I was stumbling by feel ( I had given up on the torch – my winding hand was exhausted) back towards the welcoming light of the kitchen. Arming myself with the smelliest treats I could find, I returned to the scene of the action. Ten minutes later, minutes filled with muffled curses in the sweetest tones so as not to upset the mutt, after much wriggling in reverse, hubby rolls away from the hole, covered in earth and scratches and cobwebs and out pops Lucy, treat clamped in her jaws, her little body wriggling in time to the thumping of her glad tail. I swear she was smiling. This entry was posted in dogs, Family, garden, writer, writing and tagged dogs, family, garden, writer, writing. Bookmark the permalink. What we do for our pets !!!!! Maybe this will teach her a lesson.